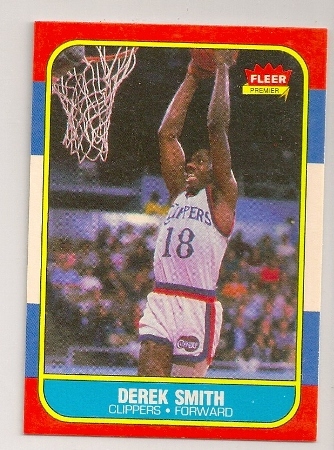 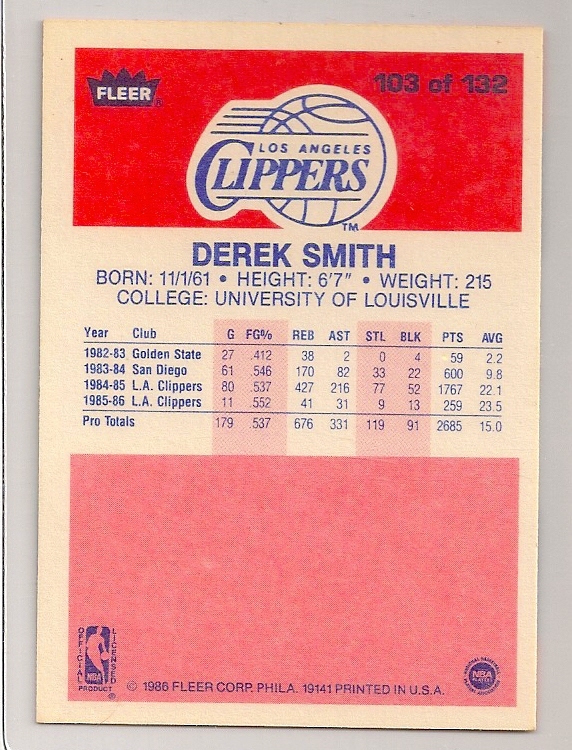 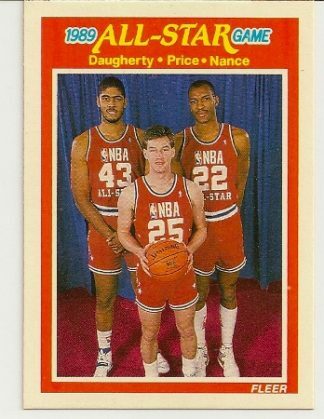 1989-90 Fleer All-Star Game Card. 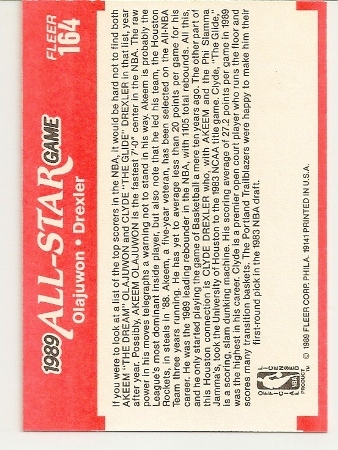 Hakeem Olajuwan and Clyde Derexler. 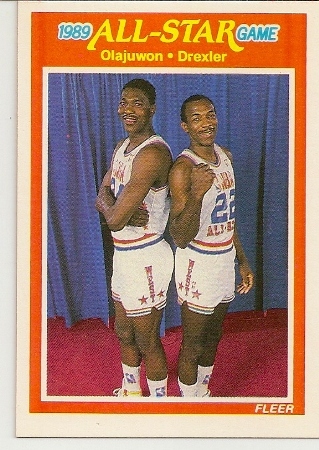 Up for sale is this 1989-90 Fleer All-Star Game card that features Hakeem Olajuwan of the Houston Rockets and Clyde Drexler of the Portland Trailblazers. 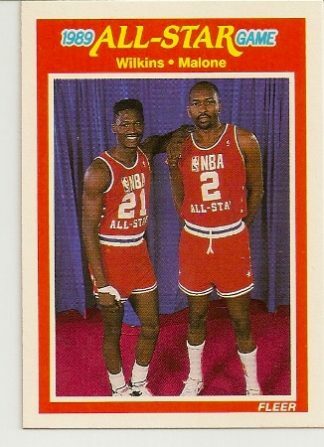 These two great players were college teammates in Houston and were known as “PHI SLAMMA-JAMMA.” Drexler and Olajuwan are two of the greatest players to ever play in the NBA. 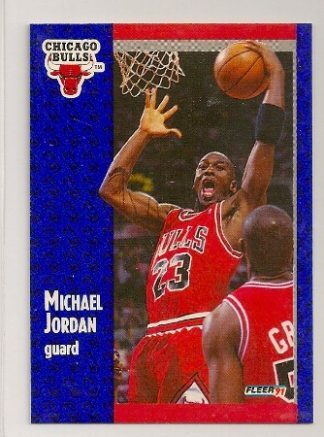 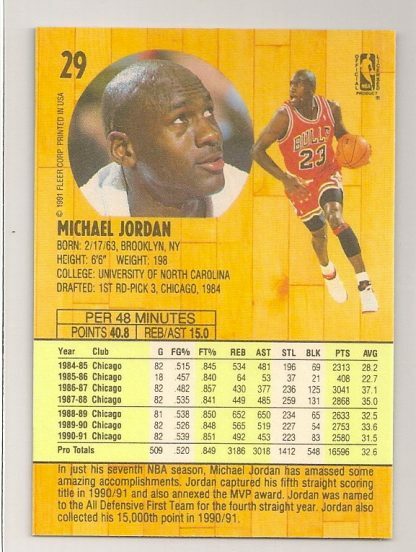 1991-92 Fleer Michael Jordan Card #29. Chicago Bulls. 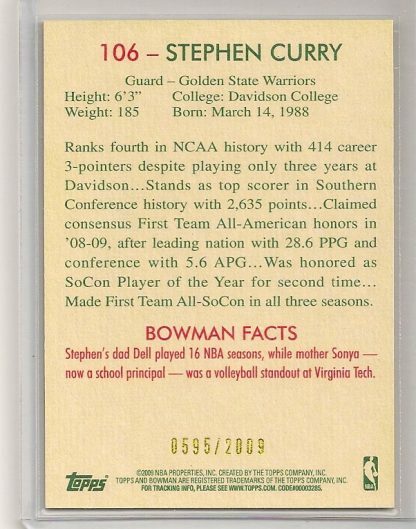 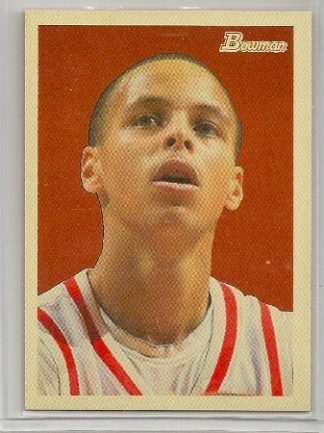 Stephen Curry 2009-10 Bowman ’48 Rookie Card #106.